When we returned from Nepal I had a slight tan a beautiful girlfriend who I had got to know on the expedition and just over 3,000 photographs to sort through and edit. Although that may sound boring to some people, for me it was exciting. I browsed through the library of images and looked at the ones that took me straight back to a memory, person or place. The next summer (in 2014) myself and a fellow photographer held our first exhibition at our college titled ‘People of the World’ it was a show case of portrait images I had taken from Nepal in collaboration with portrait images my friend had taken in Africa. We Exhibited 40 prints in total (20 each) in sizes ranging from A6 to A1, and sold 38 out of 40 photographs. The founder of True Adventure (Mike Trueman) paid a visit to the exhibition and purchased both of my A1 prints. He later told me that he got them framed and they’re now hanging in his house in France! It gave me a taste of success as a photographer, and It has driven me ever since. This was a memorable night for me and is something I have continued to look back on any time I have started to doubt myself, or started to listen to people who say 'be more realistic with your aspirations'. Relating to my most hated phrase ‘Welcome to the real world’ in my opinion the ‘real world’ is what you make of it and you don’t have to hate your job or work yourself near to death just to have a life. Soon after the exhibition, I received my A level results and was very happy to receive an A in photography and a C in English language. (We won’t mention what I received in I.T) I was also happy to hear that my application to the Farnborough College of Technology had been successful! And in September of 2014 I started my BA hons degree in photography. Upon starting my first year of a BA (hons) in photography, I really didn’t know what to expect (the only thing I was sure of was that the work load was going to increase). The first semester involved working with 35mm black & white film, meaning I had to acquire a film camera. Thankfully my step father let me borrow his Minolta x-700 which proved to be a very efficient camera.For our first assignment we had to talk about a subject of photography that wa special to us. I talked about street photography, the city, modernity and the ‘flanuer’. 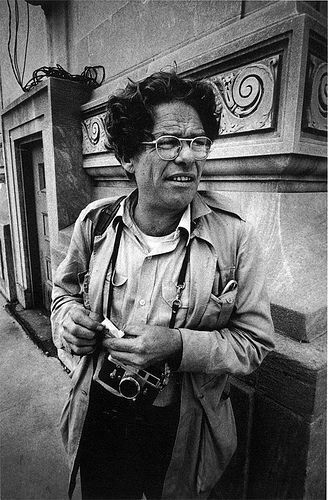 I looked into such legendary street photographers as; Eugene Atget, Brassai, Alex Webb, Daido Moriyama, Lee Friedlander, Stephen Shore, Alfred Stieglitz, Lewis Hine and one of the most prolific photographers; Garry Winogrand. I found this in depth research really opened my eyes to the style of photography that I want to work in (Documentary / Travel). This was strengthened by an educational trip to Paris, where we went to one of the largest annual photographic events around the world, ‘Paris Photo’. The event showcases the most popular and game changing contemporary photography of that year. Walking around everything and taking in all of the different photography is no easy feat, as there’s so much to see and absorb. I was astounded by the quality and originality of the photographs on display, as well as the thousands of different formats that the work was presented in. It was a great insight into contemporary documentary photography at the time and inspired me to push my own boundaries within photography.We also enjoyed the night life of Paris, visiting restaurants, bars and new places. I also found that this was when I got to know my fellow students on the course a lot better and formed many new friendships. This meant that when we came back, people on the course worked much better as a team. 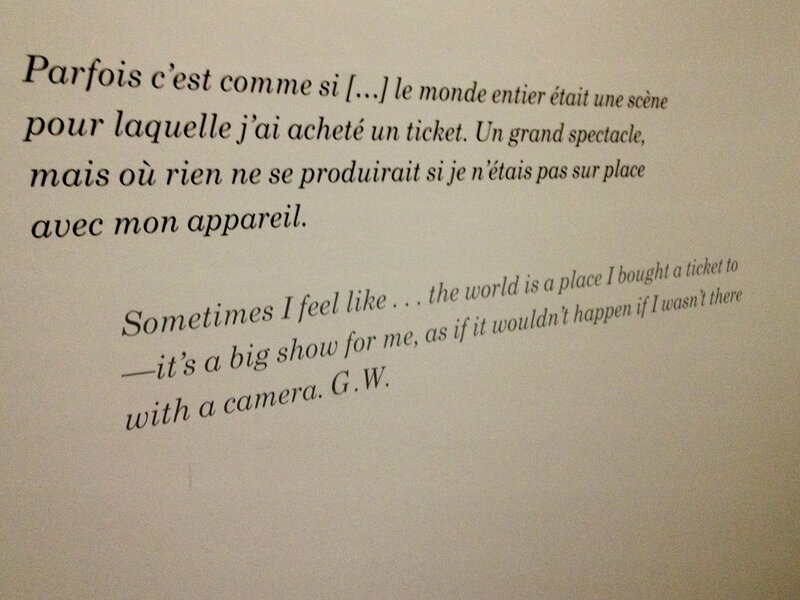 Another highlight of the trip was getting to see the Garry Winogrand retrospective. This contained all of his famous street photographs as well as newer ones that had been developed from the 2,500 or so undeveloped films he left behind when he died. Funnily enough, it was only another student and I that decided to go with the tutors, everyone else was keen to shop. I’m very glad I do decided to go, as it was amazing to see the shots of his that were a little less well known, but were masterpieces just the same. Following the trip I purchased the book ‘Garry Winogrand’ to look back on his photographs that undoubtedly changed street / documentary photography and helped it to develop. On our arrival back from Paris we were thrown straight back into the course, studying photography theory, with such intriguing theorists as Susan Sontag and Roland Barthes. I found that this broadened my thoughts about what photography is and its key role in society today. We also studied a unit about post production and using manipulation software such as Adobe Photoshop and Light room. I found this to be very compelling and was very excited to challenge my own skills and create something new. One piece I created from many different layers was a composite piece of a miniature garden in a globe, which my tutor was very pleased with and I think he was a little shocked that I had designed such a thing. I passed the first year with a high 2:1 average, which I was very pleased with and will now be working towards a ‘first’ in my second year of university. Over this summer I held my first solo exhibition and needless to say it's a lot more work than doing a joint exhibition with someone else and dividing the jobs. I found the more difficult jobs to be; getting the right lighting, finding easels for the A1 prints and creating a program for the evening. I was very happy to sell my work to many different types of people, including Lord and Lady Egremont of Petworth who bought one of my Venetian photographs and Mike Trueman who also bought a Venetian print. The purpose of the exhibition was to raise money for the people of Nepal struck by the recent earthquakes in April of this year. We have currently raised £850 for the people of Nepal, particularly for the village I visited two years ago. After the exhibition was over, I wrote to Mike Trueman to thank him and to make request about working with him in the future. Now it's still in its infancy and I don't want to Jinx anything, but I believe I will be traveling somewhere new next year and I’ll keep you up to date on that.